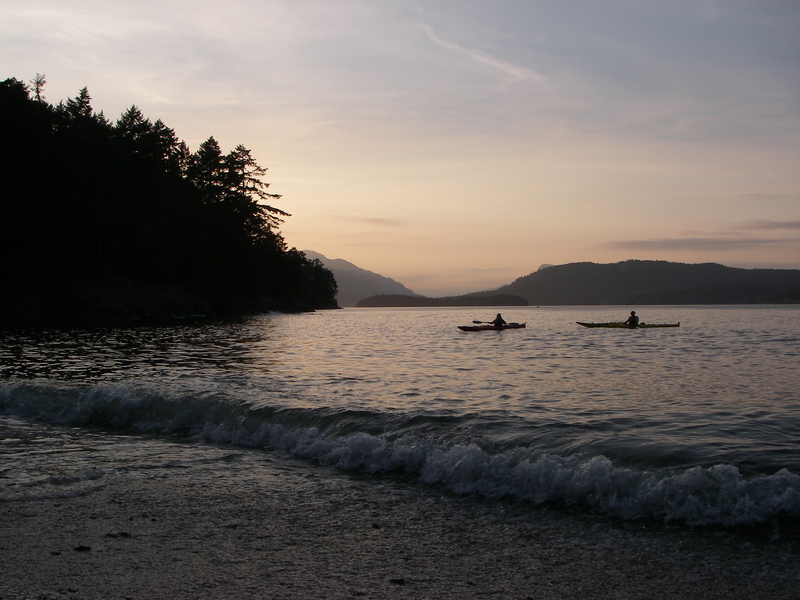 Kayaking in the southern Gulf Islands gives the paddler access to abundant wildlife, and relatively sheltered waters in which to dip you paddles, as well as some of the best camping by kayak British Columbia has to offer. The task at hand is where to start. Living on Salt Spring Island the entirety of the Gulf Islands National Park Reserve is my backyard and I never take it for granted. 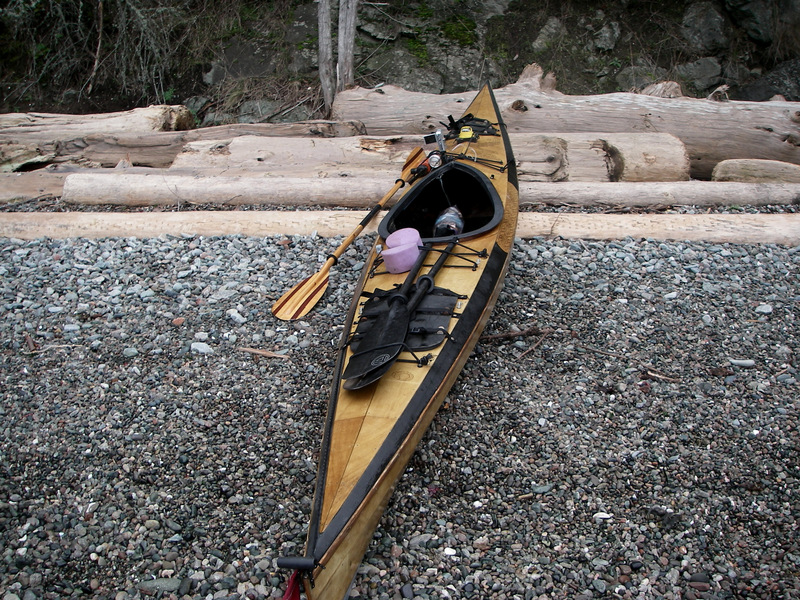 It is from Salt Spring Island that I will take you on a tour over the next few blog posts to some of the best of the best camping locations within an easy day paddle. First of all, getting to Salt Spring means taking a ferry. Check the BC ferries website at www.bcferries.com for schedules to one of the three routes to the island. Launching can be done from a number of locations on the island but for this trip to Portland Island I will give you two options. A short hop from Fulford Harbour, or a longer paddle leaving from the town of Ganges, which will give you more time on the water. Surf landings at sunset courtesy BC Ferries boat wake at Arbutus Pt., Portland Island. For those of you with some gumption and the desire for a longer day I suggest you launch from Ganges Harbour. Ganges is the centre of commerce on the island. The local kayaking outfitter, Island Escapades where you can grab any bits of gear you need and even rent a kayak if you forgot to bring one is right next to the best launch spot in town. Outside the shop is a sandy beach that becomes a rather formidably long walk as at lower tides when it becomes a mudflat. A higher tide launching time is highly suggested here. Parking is available easy access to the beach. From Ganges to Beaver Point in Ruckle Park takes 2-3 hours of smooth paddling up Captain Passage. Keep in mind that there is frequent boat and ferry traffic through here especially in the summer months. You can cross from Ruckle Park to Portland but a few more paddle strokes will get you around the corner to Eleanor Point and a shorter crossing. Again, watch for ferries coming in and out of Swartz Bay. Monitor VHF Channel 11 and check the schedules. When the coast is clear make your crossing to Arbutus Point. Bold broad daylight thieves on Portland Island. Hide your snacks well! This is one of three designated camping areas on Portland Island. It is one of the best in my opinion as it is a more wilderness setting with views of the outer islands and beyond. 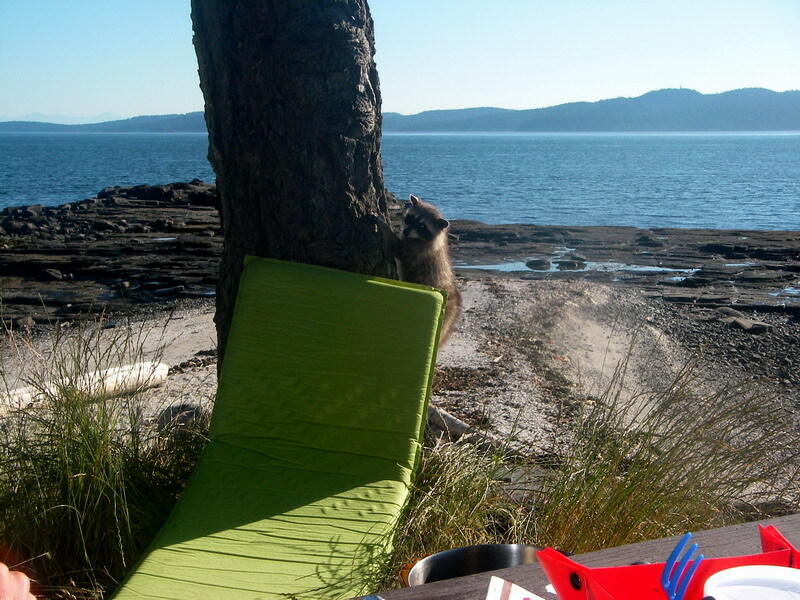 A splendid stretch of beach and cozy camping under Arbutus trees is what you will find here, but as with all the camping spots on the island, be watchful and mindful of the locals, namely raccoons! They are bold to say the least. Hang your food or seal it tight in your kayak hatches. An taste of the Inuit at Arbutus Point, Portland Island BC. If you are wanting a shorter paddle day the best place to put in is at Fulford Harbour at the south end of Salt Spring Island. Fulford Village offers good places to eat and the Mercantile where you can grab some interesting snacks for your trip. Across the harbour drive up Isabella Point Rd until you come across an obvious place to launch your kayak. This is Hamilton Beach. Parking on the road is limited but from here the crossing will take you just over an hour to Portland. Paddle across the harbour watching for the Skeena Queen ferry and make your way to Russel Island. A crushed shell beach makes for a nice spot to stretch your legs before committing to the crossing. Shell Beach on Portland Island, one of 3 designated camping locations. From Russel head towards Kanaka Bluff and the marker there. It is a good reference point. Again, mindful of ferry traffic the crossing is less than half and hour in calm conditions. 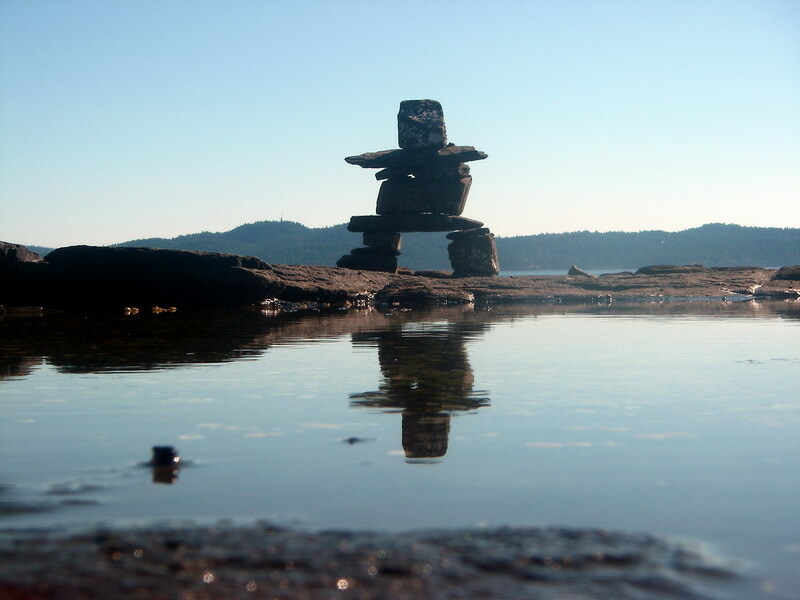 Shell Beach is the next available camp area on the island offering a flat grassy patch with views of Salt Spring’s southern shores and mountains. Brackman Island adjacent to the beach is private. If this beach is not to your liking and watching ferries going by is not your style then head around the corner to Princess Bay where you will find another easy beach to land upon and more flat ground for your tent. Each of the three camp spots offer picnic tables and outhouse facilities. 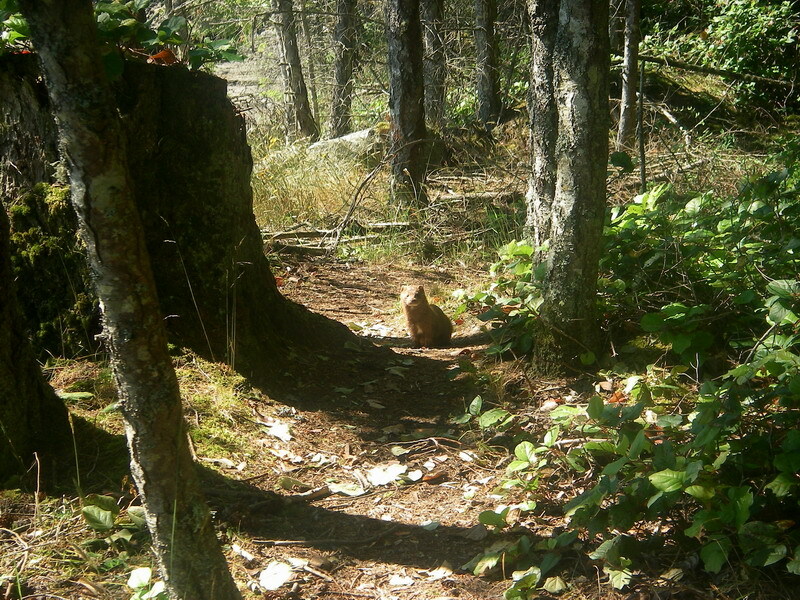 Some of the wildlife you may encounter on Portland include this curious Mink. 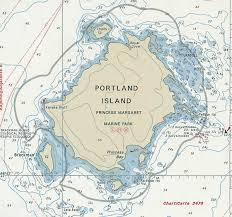 No matter where you land and camp on Portland Island you will have access to the island’s hiking trails that circumnavigate the entire shoreline with crisscrossing paths linking all sites. The trail is a real highlight and I have hiked it often. Spend some time at the shoreline that varies between rocky to mossy and even sandy! The hike takes a few hours to accomplish but well worth it. 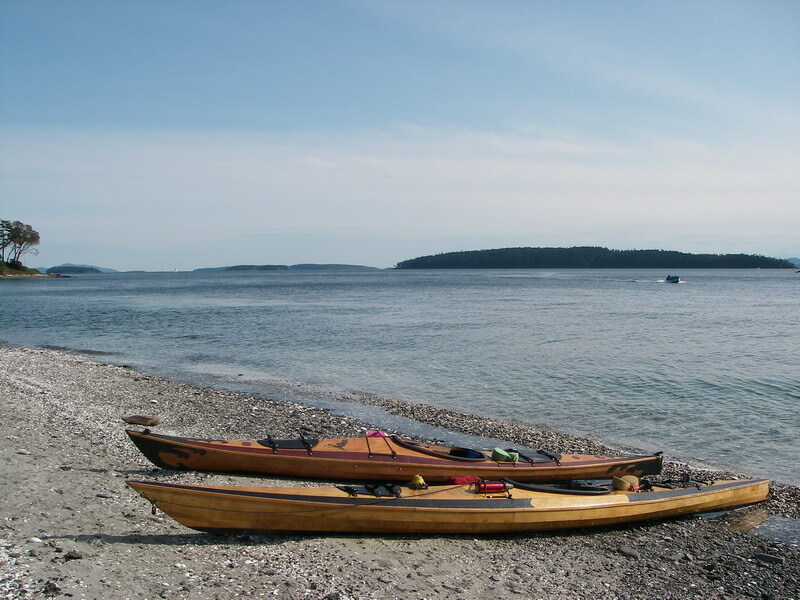 Kayaking day trips from Portland abound with numerous islets and islands to explore including Moresby Island, Piers Island, and Sidney Spit. Things to remember when planning a trip to Portland. Camping fees apply and as of this post were under $5 per person per night. Bring your own fresh water, rope to hang your food safely away from the critters, and a camera because you’ll need it! As an overnighter, or a weekend outing Portland Island is a gem of the Gulf Islands and I might see you there. The bubble still surrounds this island home of mine. To someone sitting in a Starbucks as city traffic rumbles by creating white noise, the bubble I talk about is utter nonsense. It makes no sense to anyone living ‘off-island’ where the world is in full-swing warts and all. However, to a near life-long islander such as myself this bubble of which I speak is a very real concept. I call it the bubble, but it comes in other names as well. Perhaps the best word for describing the bubble effect is the word, denial. While sitting in a coffee shop on Salt Spring Island with the loud chatter of locals and tourists at tables around my table the bubble is thick. We are safe in our understanding that the outside world, while well and truly existing does not affect our enjoyment of a morning coffee. No insurgence, no car-bombs, no rabble in the streets chanting for us all to rise up. In much of the world that hum of city traffic sending your nerves on extra edge with your double Americano grande deluxe would be the least of your troubles. Ask that limbless kid in Cambodia looking for a meal, or in any country torn by the acts of those living in their own, if nastier versions of the bubble. We Salt Springers pride ourselves on this lovely island life and our relative safety and distancing from the evils of what lies on the other side of the water. It is artifice and silly to think that the rest of the world, wars, economic tail-spinning, and the acts of limited minded folk can not get to us here. They do, if only in small ways, which the current island economy is beginning to realize. That is when we mutter at the headlines and swig a second cup at Barb’s Buns, or T J Beans, or the Roasters. Then, we islanders do what we do best, go about out daily lives. Concerned with mending that fence that the sheep keep leaping over, or getting crafts or produce ready for this Saturday’s market in the park, or getting up in arms over metal recycling, CRD, Islands Trusts, etc. On the outer rim of the bubble there is a corner table with an old leaning and rustic looking wooden sign that says, community. It is this place that I try to hang around as much as possible. These are my people, a tribe of sorts. There is a welcome acceptance of each other and that ever-present (us against them) mentality. As the summer season approaches we see less and less of each other around town. Hibernating until the Fall Fair in September, avoiding the crush of visitors as best we can and making stealth runs with sorties to the grocery store at odd hours in hopes for an easy entry and exit to our hide-aways in the woods. It’s this sense of community that I felt around me in the past few days, and a reminder during two small incidents that none of us, islanders or off-islanders should ever take for granted, that one word, community. A few days ago, a fellow long-term island resident who like many (not me but who am I to judge?) afford the luxury of avoiding the wet season from October to April with a second life down under. No not Australia, but Mexico. Snowbirds of the wet coast relocate a part of the Salt Spring community to warmer climes for the winter months. Sadly, last year one of our tribe was killed at the Mexican vacation home owned by the above mentioned well-known and loved local full-time real estate guy and part-time comedian. Overhearing a short conversation sent back and forth in the busy coffee house about his experience this winter. A somber returning literally to the scene of the crime that occurred during a home invasion resulting in the death of a friend. It was a conversation not told in whispers across a table but across the entire room for all to hear. We all understood his plight and the off-hand remarks about ceremonial smudging with sage that took place a few dozen times to remove any lingering musty bad juju of the murder. We all confessed inwardly to the slightly awkward moment at hearing how he felt uneasy for the first few weeks and the 24-hour party on the date of the attack. Good vibes replacing old bad ones. Some might ask why he did not attempt to sell the place last year, be rid of the thing and the sad memories of what took place? The bubble. The second reminder came just this morning as I sat with a friend who was recovering from an assault to him that occurred early this winter on a frozen pond. Arm now out of the sling but the nagging pain and lack of full movement evident from the separated shoulder injury that resulted from the attack. This event was a step outside the bubble by someone disturbed and not of the bubble tribe. As we talked he realized that though he had arrived on time to get the early breakfast special our chatting had distracted him from the time. It was past 9am, the cut-off time for a cheaper breakfast. At a quarter past nine our server stopped by the table and he commented on missing out. “No you didn’t.” she told him with a smile reserved for known bubble dwellers and regulars, and she took his order for the dairy free version of the special. It arrived minutes later, at special price with a brown paper bag with a toasty treat for his dog a well-known mischievous companion of a Blue Healer. My friend’s breakfast was without toast when it landed in front of him. No matter he said but she informed us that the cook had accidentally buttered it and a new batch had already been ‘put down’ meaning in the toaster. In seconds, a plate of plain toast arrived displayed in an interlocked pin-wheel design that was almost too nice to disturb. When asked why I stay on this island, why when I have a constant struggle to make ends meet, why? The bubble. That sense of safe belonging and the knowledge that if you are a regular you can actually warp time, get a treat on the house for your dog, have the calm demeanor to tell your tales of loss publicly without concern or personal embarrassment and above all, get your toast served unbuttered and in a pretty display. Oh, and there is a lack of car bombs here as well. Taking a break at Yeo Pt. Salt Spring Island. A spontaneous 20k paddle to shock the paddling muscles back to life. I can’t remember when it was that I was in my kayak for more than just an hour or two. I had the idea for a few days to do a longer paddle but with our nutty schedule of late it was harder to factor it all in. Weather, tides, and could anyone pick me up at the other end? As it turned out Jen had the day off and that meant I could extend my time on the water to all day if I wanted. Not wanting to do another A to A paddle there and back again I opted to have her drop me in town, Ganges and pick me up some time later in Fulford Harbour. I had done this paddle before and had a vague idea how long it would take me, even with the tide going against me, and my winter flab. I chose to beat against the tide all day simply due to the fact the view is much better heading southwards than northwards into town. It was a small price to pay and as it turned out I made good time, partly due to the incredible calmness and lack of wind. With the sea as smooth as silk I slipped away from the mudflat beach in town and along the shore for about 20kms stopping along the way at Yeo Point in Ruckle Park and again at the Native Reserve at the mouth of Fulford Harbour. All in all it took about four hours to get there on a lovely, mild February Sunday. Click the Youtube link below to come along for a ride.